The real strengths of B2B marketing are derived from social media. Lead generation and management are not possible if one doesn’t consider furnishing an online platform. It does entail expenses on the side, but veteran marketers will tell you that the benefits would eventually outweigh the costs – that is if you know how to effectively create a social marketing plan from scratch. It’s a difficult process creating a lead generation strategy. It’s even more so when you want to optimize your online channels for B2B lead nurturing. A great deal of resources and efforts are involved. You would need to specify your target market, calculate your expenses and bring together a team to realize your plans. On top of these dilemmas, you would also have to contend with contacting your audience indirectly. Also, you would need to face certain levels of uncertainty with regards to the results. Further, you also have to choose which social media channel would be right for your campaign. That last part though has the most significance in lead generation. Finding the right platform would mean making the most out of your lead management. In this case, it is imperative to find out more about each channel and the ways they can help you with generating high profile B2B leads. 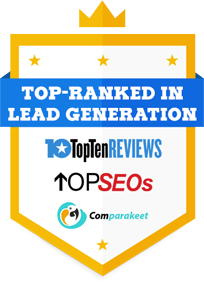 This site is by far the best source for high profile B2B leads. Especially when you are looking for C-suite prospects, LinkedIn allows a narrower means to find the right targets for your sales pipeline with its advanced search tool. This provides for better lead management and profiling. Not really a thing for most B2B professionals as it is more advantageous in B2C engagements. But with the incessant growth of its population of active online users, Facebook continues to be an effective branding tool that could increase awareness and stirs up referrals. It is only a matter of optimizing content for your profile in a bid to drive traffic towards your company’s web page. Everyone tweets. But let’s face it: you could only do so much in just 140 characters or less. Maybe a tagline here or a link to your landing page there. But it is important to note that posting compelling tweets about company the latest that your company has in store benefits your lead nurturing efforts. From a certain view, it might seem that these three platforms are independent of each other. In reality, they work harmoniously together when paired with traditional lead nurturing methods such as telemarketing and email. Facebook’s Organic Search Power (Slightly) Declines: Should Marketers be worried? By now you’ve probably heard that Facebook’s organic reach has been declining in recent months, and it’s got every social media marketer’s frantic attention. Although it’s only a 1-2% drop, a trend like this can naturally cause slight panic especially to those who invest so much on the social networking giant. According to Social Media Today, if you have 1,000 Facebook likes on your business page, only about 10-20 of those fans will even see your posts. This decline in organic search is not at all recent, however. It’s been a downhill pattern in the last few years, but the trend has become more significant – and as a result more alarming – starting around October of 2013. According to this study, the drop was from 12.05% in October 2013 to 6.15% in February 2014. There’s a logical reason to this decline as offered by TechCrunch.com: The roughly 50% decline in reach over the past year matches the 50% increase in Page Likes per typical Facebook user over the same time period. As people Like more Pages, the organic reach of each drops. But all Pages and people are not treated equally because Facebook’s goal is to show people the most engaging posts out of all the ones they could see each day. This puts Facebook in the very tough position of choosing what content gets shown and what doesn’t. So what can Facebook marketers do? 1. Visual bullet points. Visual bullet points gain a lot of engagement, and EdgeRank, Facebook’s algorithm, determines what articles show up on a user’s newsfeed. 2. Opt-in emails. Another method to get around the fall in Facebook’s organic reach is to use opt-in emails. This is useful because your conversion rate from opt-in emails will be high. 3. Offers. Everyone’s a sucker for a great deal. Like what marketing consultant Jon Loomer says in his article about Facebook offers, an irresistible offer will get your fans to follow your page more closely. 4. Retargeting. Since the number of people you’re able to reach on Facebook will fall, you have to ensure that your audience is made up of highly targeted fans who have a higher chance of conversion. Closely evaluate your page’s fans to see if your audienceis made up of “fake” fans or fans who are genuinely interested in your product or service. https://www.callboxinc.com.au/wp-content/uploads/2019/01/callbox-logo.png 0 0 admin https://www.callboxinc.com.au/wp-content/uploads/2019/01/callbox-logo.png admin2014-04-29 09:10:072018-05-07 18:14:02Facebook’s Organic Search Power (Slightly) Declines: Should Marketers be worried? B2B lead generation is not a passive task where you just produce content and wait for leads to come marching in. Rather, it entails elaborate, sometimes meticulous, processes to sustain online presence. Your target market needs a constant consumption of anything related to your brand in order for them to keep that awareness burning in their memory. Now, these responsibilities may be too much for a person to handle, especially when the need for monitoring and analysis is building up. In such cases, one needs powerful and efficient tools to help manage the flow of online activities. 1. Buffer to post content. Content sharing is one of the easiest ways to grow and nurture your community. Yet, with more and more social platforms popping up online, content sharing can be time consuming, as each has its own style and messaging. Enter Buffer. This tool is a great way to streamline your posting and schedule on multiple platforms, making sure you’re talking to everyone where it counts. 2. LaunchCrew to launch campaigns. When launch day comes, startups need to get the word out to as many people to have the most impact and increase the probability of being heard in crowded industries. Often this entails getting your current followers to share with their friends, family and connections. LaunchCrew will help you do just that. It lets you cast a much wider net, practically doubling or tripling your impact. 3. Unbounce to create landing pages. Landing pages are now a must-have design choice to boost your online special operations. By customizing these towards a targeted audience, along with specific and relatable calls to action, it makes them way more efficient at achieving higher click-through rates. 4. Click to Tweet to foster sharing. It’s ok to ask people to share. But the simpler it is, the more people you’ll get to do so. By giving out a simple, pre-composed click-to-tweet URL for your audience to tweet in seconds, you’ll find that your potential for virality is drastically increased. 5. Mention to monitor and react. Once people start talking about you, the best way to continue growing is to detect these mentions and to reply to every one of them. By doing so, it fosters a lot of motivation for them to talk and mention even more about you, creating a network of trusted brand advocates. By having alerts based on keywords — like the name of your company, your products or your competitors — mention allows you to stay in the know and react in seconds by connecting your social accounts directly to the app. With over a hundred songs under his belt, there’s no bigger icon in American music than Dylan. His immense popularity and influence in the 60’s up until today has been consistently cited by countless musicians as the benchmark for folk, rock and contemporary music. Yes, more than Elvis. Besides, if The Beatles considered Dylan as a major inspiration, then he must have done in quite well. But behind the glitz and glamour, Dylan was considered a philosopher, a poet, a painter, and an activist against social and political unrest. His songs, his poems and his drawings are testaments to his cultural impact. Watching the River Flow (1971). With the sudden bang of social media, every thriving company is faced with one major question: is it beneficial for me to join this social media circus? What they have to understand, though, is that even though it’s popular doesn’t mean they have the obligation to fit in. Like a Rolling Stone (1965). The point of social media marketing is to stir up the online community. One’s marketing efforts become futile when the idea posted online doesn’t have enough fumes to spark someone’s interest or open a conversation. The idea has to keep moving, it has to be passed on indefinitely; its success depends on how extensive it was accepted and shared by those who stumbled upon it. Too Much of Nothing (1967). Of course, shareability is not the only principle that guides social media marketing. People only pass on things that they themselves have enjoyed, so in order for one’s company to sell like hotcakes, it has to offer something valuable and not an overload of stuff people don’t like putting up with. Knockin’ on heaven’s door (1973). Joining the online social biosphere entails a great deal of risk. Companies would have to make sure that they would project themselves accordingly to the public, and they have to be accountable of everything they post. Being social means putting their company’s reputation susceptible to criticism and scrutiny. Blowin’ in the Wind (1963). The goal will always be to understand and cater to the needs of the online supporters so they can assist in increasing a company’s popularity. But it’s not always easy to please people, that’s why online marketers must carefully examine social behavior and zero-in on what makes them happy. The answers are everywhere, they just need to find them. It seems like Twitter is adding a new weapon for social media marketers looking for new sales leads. Called the Twitter Lead Generation Cards, this new feature enables users to share their emails with the brands that they tweet. It basically works as a landing page, but using the Twitter network as the frame. This can provide companies with an additional source of information to aid their lead generation efforts. And one of the most important data that a marketer will need comes from a customer’s email address. In the world of social media marketing, getting your customers to provide your personal (but necessary) information can be near hard. Unless you have a strong relationship with your customers, not to mention a reliable online network to anchor your interactions with, then your appointment setting team will have a hard time. With Twitter’s newest feature for marketers, the task has become much easier. All that remains is for you to integrate this feature seamlessly into your overall B2B leads efforts. Mind you, do not assume that you have to rely solely on Twitter now. You also need to step up your marketing efforts in all mediums that you are utilizing. If you send emails, improve on it. If you have a telemarketing team, work closely with them. Social media marketing is just one part of a total marketing campaign. You have to work with everything you have if you want to succeed in lead generation. And that is a fact you need to accept.